Anyone has experience with the JM mack casting rod? Just wanted to know if it is a poolcue or if it some tip action. I have the same question for Haat Rods. Anyone has any experience with these? 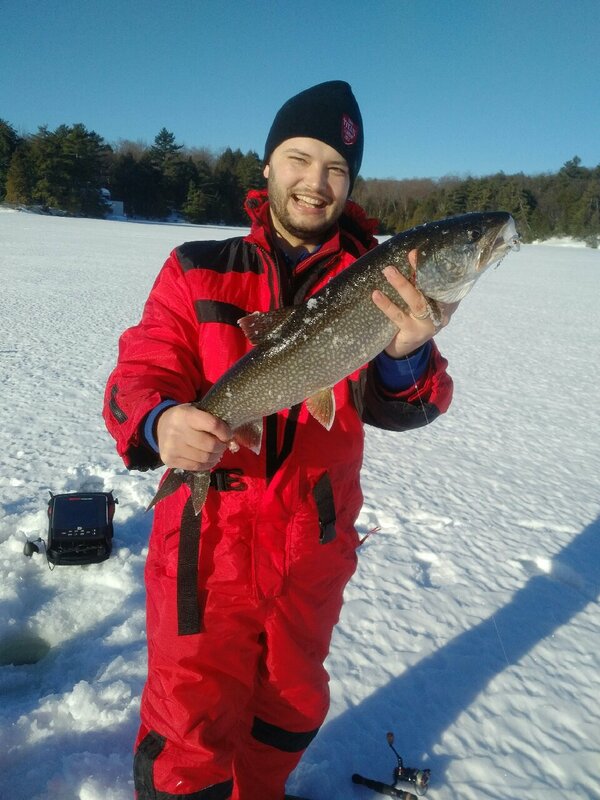 Planning to get a baitcasting ice rod for whitefish. I don't know if I should get a medium light or a medium heavy. I know the medium light would handle the fish just fine but I'm not sure if it will work jigging a heavier jig like the Meegs. Personally, I wouldn't want a baitcaster for working a meegs. A pistol gripped pool cue is the tool for the job if you ask me. That said I've got a couple JM walleye rods that have been great. So if you like the action and feel - go for it. I was actually looking to use it for spoons as i prefer to use spinning rods for jigs. Any other recommendations would be appreciated. I am currently using a 30" mh from lebaron that i got for 4.99 maybe 15 yrs ago. I think that old girl can be put to the pasture. The reason I want to try a baitcaster this season is to minimize any line twists that you get with the spinning making the meegs rotate all over the place and getting the fish tired of chasing. Plus the majority of people keep the spinning reel on a side in the palm to feel the bite better. With the baitcaster this will be more natural as you wouldn't need to flip the rod. That's my reasoning behind trying this setup. I think a jig would spin less when reeled up quickly vs a spoon. As you are not reeling when working the jig, i think it would not matter what type of reel you use. I disagree...when the line gets twisted...even when jigging in place with a meegs type lure...the lure is spinning. Try it out of the water in your livingroom. You can add a micro swivel to minimize the spin. However, I'm thinking the baitcaster will eliminate the spin completely. Will see. I'm planning to have the thorn bros build me a custom baitcasting rod and give it a go. Will report back with how it works either success or failure. Ended up finding a 34 mh mojo in a local store and went with that instead. Also comes in H if someone is looking.